Krav Maga is a military based fighting style used by the Israeli military (IDF) as their self-defense method. Krav Maga was systemized by Imi Lichtenfeld based on skills taught to him by his father Samuel. Samuel had been an acrobat in the circus in his early life and had been exposed and trained in jujitsu, karate and weapons arts as well as boxing and wrestling in his travels. Upon returning to Czechoslovakia He joined the police department has an inspector and opened the Hercules gym which taught fighting arts, boxing and wrestling, and acrobatic skills. Imi grew up at his fathers’ school where he studied the various fighting arts later becoming na national boxing and wrestling champion. Later on, when the Nazi forces were threatening his home country and there was a lot of street violence, he systemized what became Krav Maga and taught it to members of the Jewish community. Later he escaped to Israel and continued teaching and refining his fighting method. 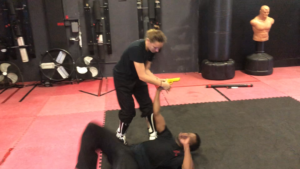 Krav Maga is an excellent and very functional martial arts system. 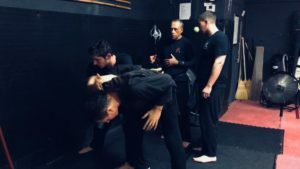 It is very simple and is used as a simple hand to hand fighting system and is generally meant to be taught to military personnel very quickly. Because of the need to teach the basics very quickly many skills are skipped or abbreviated. 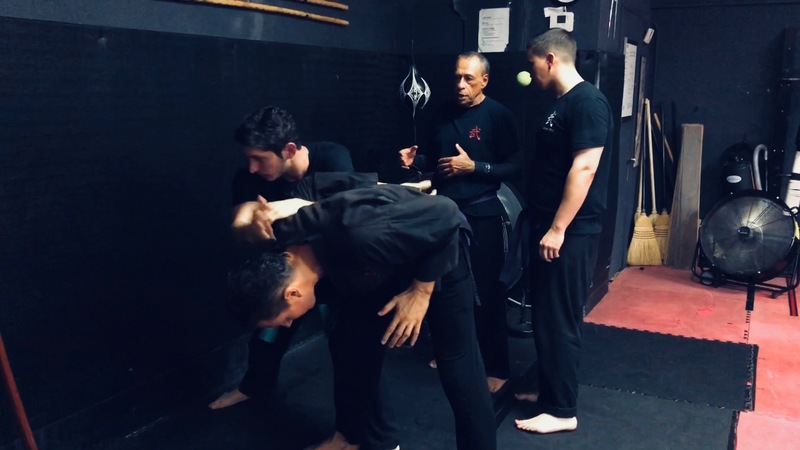 When you have a situation where you don’t have extreme time pressure to give the student Martial skills as we do at the school, we have the time and ability to teach a Complete set of martial arts skills. 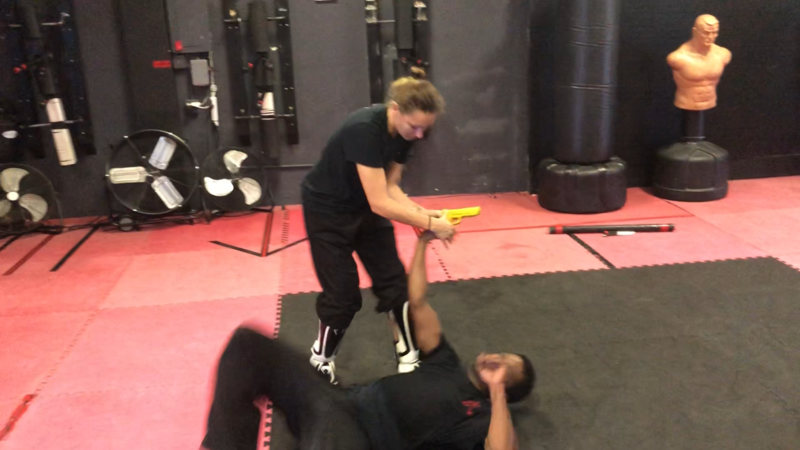 Krav Maga is excellent at what it covers but if you want more complete martial arts self-defense skills you need to augment the Krav Maga skills. Civilian applications of self-defense skills are different than pure military. In military hand to hand you are trying to do as much damage as possible as quickly as possible. There are many scenarios and normal life where you were just looking to control a situation, put someone in a lock or a hold, or just stun them. Military martial arts also tend to assume that the practitioner is a large, in shape, aggressive Soldier. If you are significantly smaller than the attacker, giving up significant mass or reach, than some of the techniques may not work as well. For example, some standard techniques call for pinning or trapping the attackers weapon hand and with your free hand striking them repeatedly in the head, ideally taking them out of the fight by knockout. As a smaller person you might find this difficult, you can break your hand etc, using other options that need less power to be effective, will work better under these circumstances. You can’t use these skills if you don’t know them. 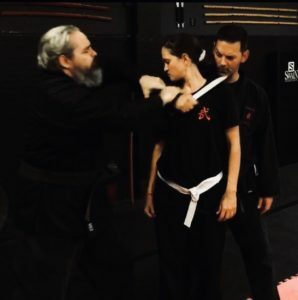 We will teach you these needed additional martial skills. The higher the level of martial arts skill you develop the safer you will be, and the more impactful the training will be for you personally, you will also enjoy developing higher levels of martial skill.